There was a lot going on when I created the Writing Our Lives Workshop in early 2011. It had been eight months since I quit the safety net of a full-time editing job to live my dream of writing and teaching. I had walked away from the 352 page manuscript of my latest novel and finally gave in to the often confusing process that is writing. My memoir had been pursuing me for years. I’d managed to run away but there was no running anymore. The memories were haunting me, keeping me up at night and invading my dreams when I finally collapsed from exhaustion. I finally surrendered and gave in, thus beginning the journey to what would become A Dim Capacity for Wings. I was teaching and writing and trying to make sense of the increasingly volatile political atmosphere that was plaguing our nation. I watched as California’s Proposition 8 was ratified. I cringed at the signs that read “Gay = God abhors you.” And I cried with the gay couples who watched their rights swept away. I still cry with them. I was raised in a gay relationship in the 80s long before Heather Has Two Mommies was written and just a few years after the American Psychiatric Association declassified homosexuality as a mental disorder, so the blatant homophobia behind this and other anti-gay legislation hit me right in the chest cavity. I was (and still am) even more convinced that the only way to effect change (in this case, show the hate-mongers that they are wrong) is by sharing my story, our stories. Contrary to what these fools say, people raised in gay households can be functional, productive members of society. I love and live and thrive BECAUSE I was raised by two women, not in spite of that truth. I watched as anti-immigration legislation swept the nation. I am a second-generation Latina who’s been told more than once to “go back to your country” and called a gringa in my motherland (because we walk the borderlands, our feet in both nations while never fully belonging to either). I was taught directly and subliminally that my culture, both as a Latina and a woman who grew up in Bushwick, Brooklyn, is inferior and not important enough to be studied. And I watched as the Texas State Education Board used its power to rewrite history. Under the new standards, labor leader César Chávez will no longer appear at all in textbooks and slavery will now be described as “the Atlantic triangular trade”, not America’s original sin but just a relic of British colonialism that America struggled so desperately to cast off. Is this for real? Yes. It’s very real. And very serious. I thought about all this while I created the Writing Our Lives workshop. I thought about how I, we’ve been silenced for so long. Too long. I thought about how personal narrative is and has always been a way to make sure all histories are documented. There for our children to read and know. There for the world to know. It’s a responsibility. Mine and yours. I take it seriously. More than a year and a half after starting the workshop, now prepping for the sixth session of the Writing Our Lives workshop, the political environment of this country has grown even more volcanic. Arizona’s SB 1070 (aka the “papers, please” provision) has made racial profiling legal in the state of Arizona. And, earlier this year, ethnic studies programs in Tucson (yes, Arizona again!) public schools were eliminated and books by the box-load were pulled from the classrooms. These books are largely by black and brown authors. Surprised? No. What makes these books and programs so threatening? That they tell what the textbooks do not: our perspectives. When I first read about the ban, my memory ricocheted to the spring of 1992, when, just sixteen years old and a junior in boarding school, a professor who was all too aware of my love for books gave me my first copy of Julia Alvarez’s How the Garcia Girls Lost Their Accents, the first book I’d ever seen or read by a Latina. My world shifted that day. Up to that point, my education privileged the stories and history of wealthy, white men. I was taught by omission that the history of my people (and, for that matter, the histories of all marginalized people) was inferior and not worthy of study. Arizona’s latest move does the same. It tells kids in Arizona, 60+% who are of Mexican heritage, that their history and perspectives have no place in American culture. Personal narrative is important now more than ever. I’m totally obsessed with personal narrative and memoir, and have been since I read St. Augustine’s Confessions when I was 19. I’ve been working on my memoir for more than a decade (I’m now in the clutch of the second draft) and have written dozens of personal essays. I’ve also read hundreds of memoirs, written two novels and co-wrote a book for young social activists. 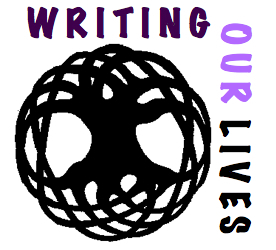 I created the Writing Our Lives Workshop to share what I’ve learned over the course of my writing and reading life. Through interactive lessons and discussions on developing voice, characters, plot and dialogue, and exercises to prompt memory and help students find stories in the events of their lives, I will work with writers to pen a 7-10 page personal narrative, the culminating project. There will be regular homework (reading and writing), as well as in-class writing and sharing. For more information contact Vanessa at vanessa_martir@yahoo.com.